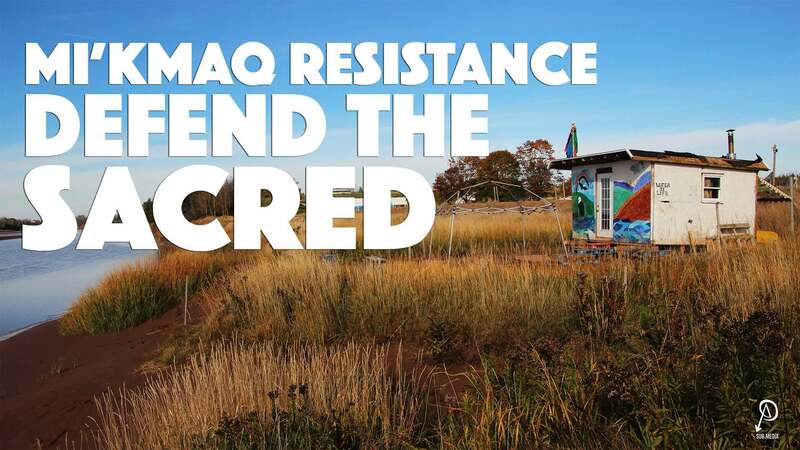 Mi’kmaq and non-Indigenous allies are actively opposing the completion of the Alton Gas project near Stewiacke, Nova Scotia. Alton Gas proposes to create two salt caverns in the near future in order to store natural gas underground, with the expressed intention to build up to 15 more . The creation of these caverns would result in huge quantities of highly concentrated salt brine, which the company plans to dump down the Shubenacadie River. There are multiple fundamental problems with this project and the processes through which it was approved. Alton Gas Storage LP and the Nova Scotia government failed to adequately consult local Mi’kmaq communities, as demonstrated through a Supreme Court of Nova Scotia decision and other examples. Furthermore, it is a demonstration of the inadequacies of the current Indigenous consultation and environmental decision making processes. Alton Gas threatens water in the construction, operation, and decommissioning stages, and specifically would cause disastrous consequences for the Shubenacadie River and to all those who depend on it. The project will contribute to the expansion of the fossil fuel industry in Nova Scotia at a time when we need to be rapidly reducing fossil fuel use in order to prevent unbridled climate change. At full operation, Alton gas will be releasing aprox. 10 million litres of brine (3,170 tonnes of hard salt) into the Shubenacadie River system each day. Join them on Facebook and Twitter and support their fundraiser.